Denmark Green Card Scheme - Who Qualifies? Denmark Green Card Scheme – Who Qualifies? Bordered by Germany, Sweden and Norway, Denmark is a very beautiful nation that has been ranked as the happiest place on the globe. Its low crime rate and corruption have made it as the best place to immigrate. Of late, Denmark has been attracting some immigrants especially from top countries such as India, Australia and Canada. Besides good living standards, many factors such as good living standards, better educational system and excellent employment options made Denmark the most desirable destination for immigrants. Denmark immigration is mostly chosen by skilled professionals as they can benefit from high employment opportunities. Denmark Greencard scheme is a good option for Indians and can easily enter the country if they satisfy all the requirements of the procedure. The Danish government has introduced Greencard scheme to encourage skilled professionals and to draw them towards its shores. 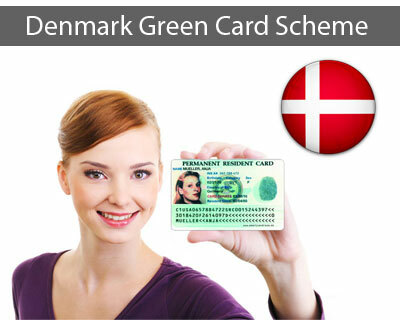 Denmark Greencard scheme is for individuals who wish to seek work and subsequently working in Denmark. Under Denmark Greencard scheme, one will be granted a residence and work permit by your assessment in the points system. Holders of Denmark Greencard scheme do not need to acquire a separate work permit. A residence permit under the Denmark Greencard scheme will give you the right to carry out paid or unpaid work. If you meet all the conditions, then you can apply for Greencard scheme and can immigrate to Denmark at a faster pace. i am interested for this. please furnish me details i may need to apply.